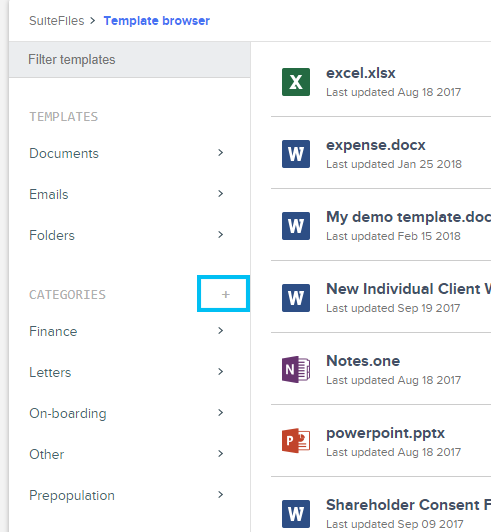 With Template Categories now in our SuiteFiles web app and the new ability to create and organise these yourselves, managing templates has become much easier. NOTE: You will need to either be a SuiteFiles admin or be given permissions to manage templates to do this. Go to the manage templates section in SuiteFiles web by clicking the More tab then "Manage Templates"
Then click on the category to add the template to and the template will be moved. 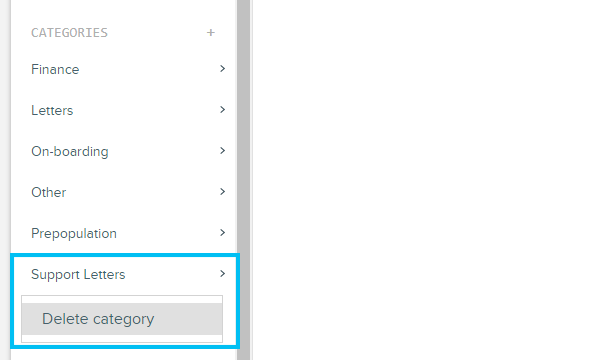 To remove a template from a category simply follow the above instructions for adding a template to a category except add the template to the default category called "Other"
Please note that this will also delete the templates in the category, if you don't want to delete the templates then add them to the other category instead.